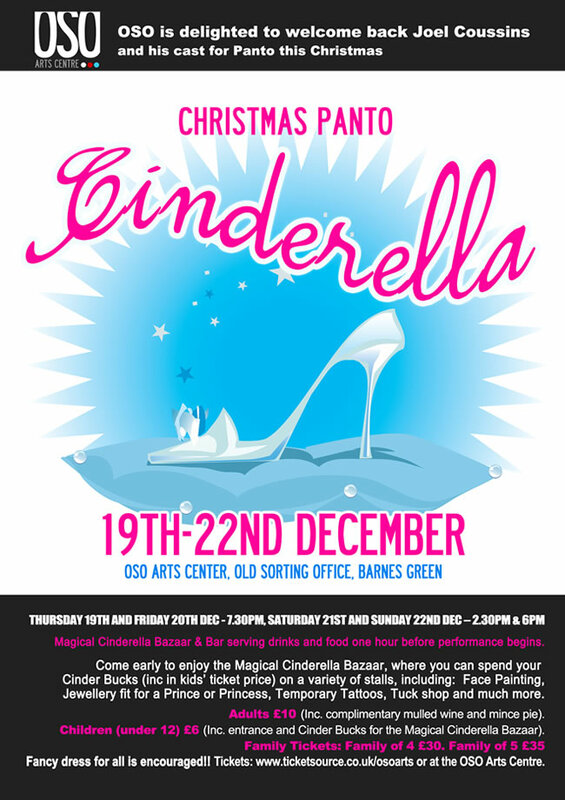 Joel Coussins presents Christmas Pantomime @ OSO Arts Centre. Come to the ball and watch Joel and his cast weave their magic! The Magical Cinderella Bazaar opens one hour beforehand; with face painting, jewellery, temporary tattoos, a tuck shop and more, Cinda Bucks will be the currency of the day! For grown-ups, the bar and café will be serving mulled wine and mince pies.